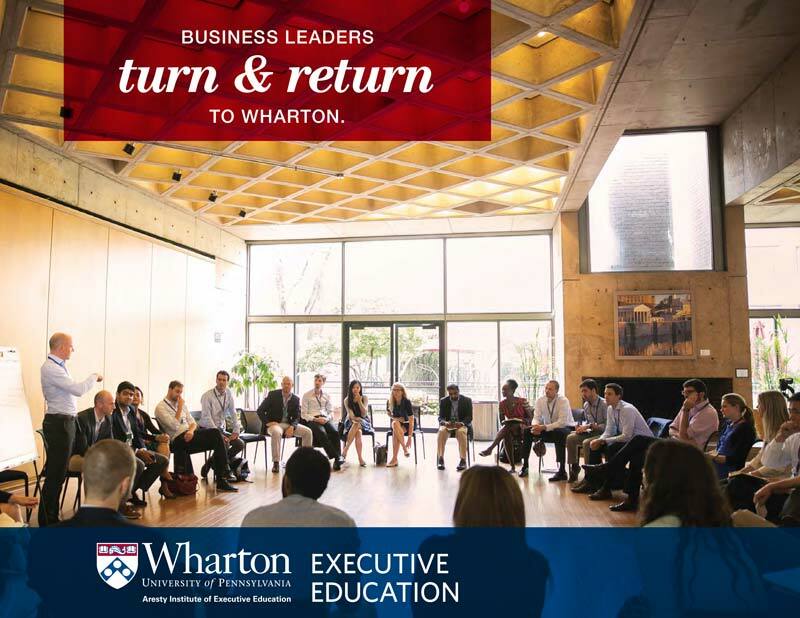 Wharton offers global organizations an unparalleled opportunity to enhance and elevate the leadership and business acumen skills of its C-Suite and senior executive ranks. Through an open-enrollment model, organizations are invited to send their top performing executives to one of our senior leadership programs, which can advance your executives’ business acumen in key areas such as finance, marketing, strategy, and innovation. Specifically, Wharton offers four immersive and intellectually rigorous Comprehensive Executive Programs for senior leaders. Transform and empower your most senior leadership ranks with new ways to think strategically, extend their influence, and have a greater impact in your organization. The Advanced Management Program is a transformative five-week experience. The Executive Development Program is an accelerated two-week program. The General Management Program is a flexible six-program learning journey.